Use any gamepad you want. Two weeks ago Valve rolled out a rolled out a beta update to its Steam client that added Configurator support for Xbox 360 and Xbox One controllers, along with any generic X-Input controller. Now that feature is available to everyone, as it's been introduced into the latest non-beta Steam client update. Valve already added support for PlayStation 4 controllers last month. Now that Xbox 360/One controllers and X-Input have all been added, it means that gamers can connect and use virtually any gamepad they want with Steam. Of course, many games natively supported the Xbox pads already, but this update also means no longer having to fuss with JoyToKey or other keyboard-to-X-Input mapping programs, as all recognized controller types can now tap into "the advanced mapping features of the Steam Controller Configurator." "Note that because X-Input currently lacks per-controller means of unique identification, all controllers of that type will share personalization and configuration settings," Valve says. 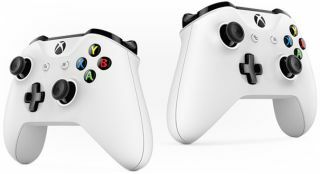 "As they share the same inputs, Xbox 360/One/Generic controllers will all see each-others configurations when browsing. Automatic conversion will be attempted when loading configurations from other controller types." In addition, Valve added a bunch of other controller updates to its latest Steam client, including rumble support for Xbox controllers and recognition of more third-party PS4 gamepads, such as some HORI, Madcatz, and Armor pads and flight sticks. With native support for all these controllers, recommended configurations specified for a game by the developer will now attempt to assign based on controller type. Beyond controller support, the latest Steam client fixes several issues, including one that could cause the client to hang when the computer wakes from sleep mode. Valve also added overlay support for new Windows 10 Insider preview builds and showed some love for Linux with over half a dozen updates and bug fixes. If you right-click on a game in your library, you'll also notice some menu changes. Say goodbye to your old friend "Delete local content" and say hello to "Uninstall." Another nice addition: the ability to move game install folders from the Properties > Local Files menu.